I made good on last week's pledge and did, in fact, check out the latest from Booker T. Jones and in a stunning upset managed to get it reviewed before this week's edition of the Blues Radio Report and The Road From Memphis is once again a Top 5 album. Tedeschi Trucks Band seems like they'll be in the #1 slot for awhile longer, although there are some major releases due out this week (check our NewMusicTuesday feature this week to find out about them) and more on the way in the coming weeks. 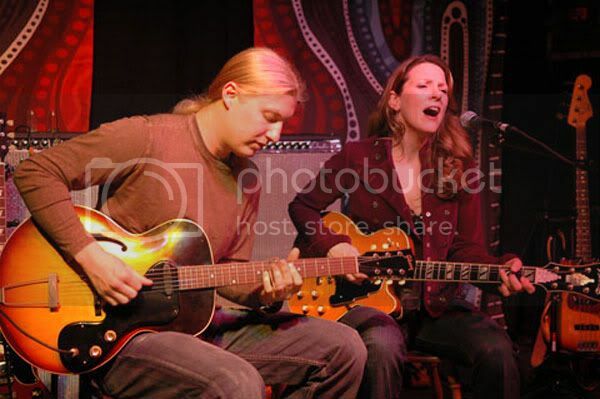 Tedeschi Trucks and Jones are joined by Hot Tuna, Tracy Nelson, and Gregg Allman in the Top 5. I got a copy of Nelson's record and I'm going to have a review for it very soon but there are several others in my "Review" queue. We'll discuss her in depth soon. Stony Plains continues its strong run with records from MonkeyJunk, Kenny "Blues Boss" Wayne (featuring Duke Robillard), and Rory Block in that next group. Hall of Famer Buddy Guy turned 75-years old and his album from last year Living Proof, which featured a tune called "74 Years Young," continues to be a staple at blues radio. I wonder if he's going to change the number when he does that one live.